Welcome to Part II of my retrospective look at my top albums from past years, where I see if they still hold that lofty position or have fallen prey to the ravages of time. If you missed Part I, where I looked at albums from 2003-2007, check it out here. If you’re ready to continue and see the albums from 2008-2012, then onward to the Time Machine! I know that technically The Alchemy Index was half released in 2007, but since the latter half was released in 2008, I’m counting it for this year. 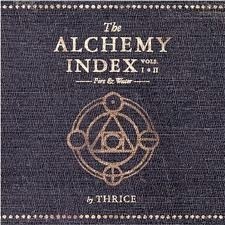 A strong idea from a band that had reinvented their sound with their previous album (2005’s Vheissu), The Alchemy Index is comprised of four six-track EPs, each representing a different element: Fire, Water, Air, and Earth. It’s a pretty stellar accomplishment, the way the band was able to create music and lyrics that sound markedly different on each EP and truly capture the essence of the element in question; even more impressive is the closing “sonnet” on each EP, written from the perspective of the EP’s element and sharing the same chord progression of the others. The only potential drawback to The Alchemy Index’s undertaking is that it is quite a bit of music to get through in one sitting; I don’t know anyone who’s listened to it who doesn’t have a favorite of the four EPs. If I were to rank mine: Water, Earth, Air, Fire, with the track “Night Diving” from Water being my personal favorite. 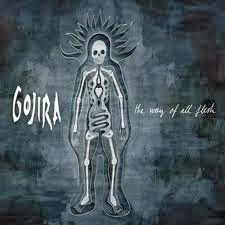 While it’s my second favorite Gojira record (so far) behind 2005’s From Mars to Sirius, The Way of All Flesh boasts two of my five favorite Gojira songs in “A Sight to Behold” and “Wolf Down the Earth,” as well as one of the absolute coolest songs I’ve ever seen performed live, “Toxic Garbage Island.” The changes between From Mars... and The Way of All Flesh are subtle, but noticeable; Gojira seems more streamlined here, with stronger songwriting and a more expansive, experimental outlook. That’s not to say The Way of All Flesh is any less-heavy than its predecessor, it just picks and chooses its moments of heaviness, balancing it out nicely with relatively quiet pieces to bring home the impact. When I heard the first single from Crack the Skye, “Divinations,” I remember being less than ecstatic for this record; the song sounded weird and much less stoner/heavy than tracks from Blood Mountain and Leviathan. Then I listened to the whole album, start to finish (the only way to approach it), and realized what an idiot I am. 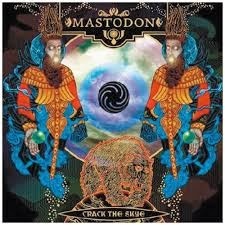 Crack the Skye hits every high, sticks every landing, and just absolutely blew my mind. A concept album involving astral projection, Czarist Russia, and Rasputin, it’s arguably Mastodon’s softest record to date, but it’s so incredibly mind-bending with fantastic riffs and the best vocal harmonies the band has ever come out with that it doesn’t matter. People who lament the change from Leviathan and brush this record off are simply close-minded fools who are missing out. Yep, this one still holds up. How can it not? “Oblivion” starts the record with a bang that doesn’t stop; even the relatively muted “The Czar” bristles with intensity, and when Scott Kelly from Neurosis shows up to bellow his parts of the title track, you’ve got goosebumps and your hair is standing on end. All of that is just a build-up to “The Last Baron,” a thirteen minute opus that was built around a ten second wonky riff. 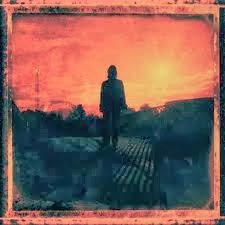 Easily – EASILY – my album of the decade, and quite possibly my favorite album ever, but again: check back with me in ten years and we’ll see (as that is the point of this journey). 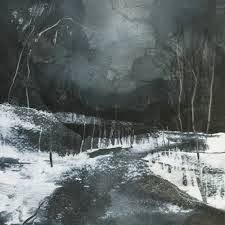 I’ve enjoyed every Agalloch record put out, but this one stands apart to me because of its seamless blend of everything the band does well. There are softer acoustic parts, brutal black metal passages, an 18-minute behemoth of a track (the album centerpiece “Black Lake Nidstang”), and the whole thing flowing together so absolutely perfectly that it almost feels like one long composition. The album opens and closes with the sound of running water, beginning with the trickle of a stream and closing with the crashing of waves. There’s a melody that’s introduced in the opening (instrumental) track that makes its way through various other parts of the album, and above all, Marrow of the Spirit is an album of breathtaking, spine-chilling beauty. Wow, from 2009-2010 I was on point about what I liked. 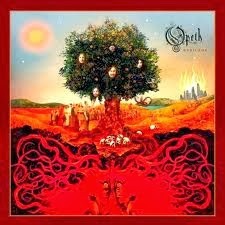 A confession: I may have gotten caught up in Opeth’s dramatic left-hand turn in sound here. I still love this album, I still listen to it on a regular basis, but I think that even at the time, I knew there were other albums I enjoyed more than this one. I was captivated by the complete shift away from death metal, the absence of harsh vocals, and the addition of a flute that I was unable to be completely objective here. Still, Heritage is an absolutely stellar album, one well-worth your time to listen to and enjoy. An absolute monster of an album in every conceivable way – lyrically, emotionally, musically; you name it, Wilson nails it. From the lush quasi-balladry of “Deform to Form a Star” to the heartbreaking lament “Postcard” to the terrifyingly creepy “Index” to the absolutely gargantuan, even more terrifying “Raider II…” every song hits the mark in a way that invites new discoveries upon every repeat listen. There isn’t a bad track or a weak moment in the bunch; the entire album is very nearly perfect. I understand that changing my mind on an album of the year after ONE year may ruin all my credibility, but seriously, have you listened to this album??? It’s black metal, but it isn’t, because it also includes some of the best progressive riffs and time signatures that I’ve ever heard, along with some flamenco-sounding guitar work and a VIOLIN, which is used to phenomenal extent. 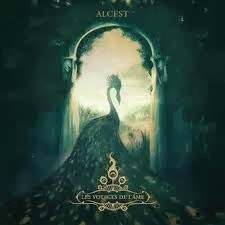 The average song length on this album is around nine minutes, but none of them feel tedious or overstay their welcome, as they move between gorgeous passages that feel like they could be on an Alcest record and heavier, blistering passages that feel more in line with Altar of Plagues (RIP) or Wolves in the Throne Room. Even though it’s over an hour long, I’m honestly sad every time Portal of I ends; it’s that good. 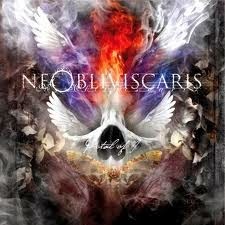 And did I mention this is Ne Obliviscaris’ DEBUT album?!?! Just incredible. So there you have it. Ten years, ten favorite albums at the time, eight different favorites now. Taste and favorites are subjective and things are wont to change over time. That said, be sure to check back here in the coming weeks to find out which albums I love this year that will probably be replaced when I look back on this in 2023. Or 2014. Either way. So, I mean, I'm not great with numbers, but I'm pretty sure 2008 wasn't 10 years ago. No, your numbers are spot on. This is part two of a series I did; Part One covered 2003-2007, and (while I'm not good with numbers either) I think 2003 was ten years ago.